I have a strong track record as a Trial Lawyer. 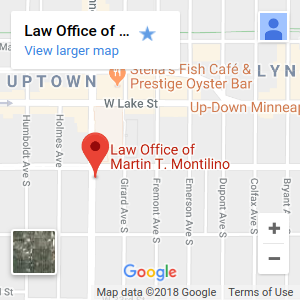 I have tried dozens of cases in the District Courts of Minnesota and have obtained favorable Jury Verdicts for my clients. I won a $1.37 Million Dollar verdict in Hennepin County. I have extensive experience in No Fault Arbitrations to obtain Wage Loss and Medical Benefits from insurance companies for people injured in motor vehicle accidents. Many cases can be settled without going to Court or Arbitration. I work very hard to obtain the best settlement for my clients. However, if the offer from the insurance company is not right, I am ready to take the case to trial.